Look out, first-time buyers. Your biggest competition is not other real estate newbies like yourselves, but mom and pop investors looking to establish a stream of rental income. Darn you, mom and pop! A recent report shows that these deep-pocketed investors are focusing on the most affordable segments of the market: smaller homes in both suburban and urban areas. The National Association of Realtors® released the 2016 Investment and Vacation Home Buyers Report last week, providing insight into consumer-driven home purchases. The report, which has been conducted annually since 2003, is based on a survey of U.S. consumers who purchased a residential property in 2015—whether it’s their primary residence, an investment home, or a vacation home. 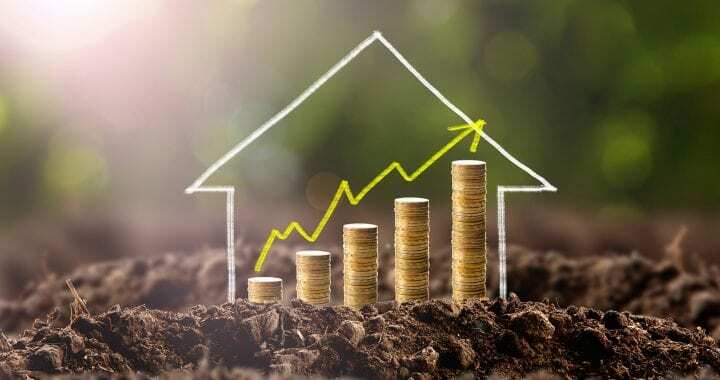 Not surprisingly, investor buyers have substantially higher incomes than both median-income households and primary residence buyers: The typical buyer of an investment home in 2015 had a median household income of $95,800. So part of the secret of their success is simple: They have the cash and credit to make it happen. Investment home buyers are less likely to finance their purchase with a mortgage. Furthermore, when they do, the vast majority put down more than 20%. In fact, the average investor mortgage had a down payment of 26% compared with an average of 11% for an owner-occupier, according to our analysis of 2015 purchase mortgage activity from Optimal Blue (an enterprise lending software company whose platform handles more than 25% of mortgages in the U.S.). Likewise, an investor has a qualification advantage of a lower debt-to-income ratio as well as much higher credit scores. Unfortunately, it’s quite tough for the ordinary buyer—and especially a first-time buyer—to compete with that. The only advantage the investor doesn’t have in the mortgage market is in their interest rate—owner-occupiers have an advantage of 50 basis points, on average. (A basis point is 0.01%.) Investors pay a higher mortgage rate because of the fact that they do not live in the home as a primary residence. So, even though investors are generally more attractive to lenders—lower risk through higher down payments, lower DTIs, and higher FICO scores—they’re still paying higher rates (and thus making lenders more money with less risk). It’s no wonder that these folks were less likely to report having difficulty in the mortgage application and approval process. And some investor buyers don’t have to deal with the mortgage process at all. Buyers who can pay cash have a big-time advantage in our limited inventory market, since they can make offers without a financing contingency. And no-contingency offers can close more rapidly. Most owners of single-family rental housing in the country are like the mom and pop investors described in this report. Their primary motivation: to get rental income from the property. Given the near-zero interest rates, few investments can offer the type of income that rental properties can. And the U.S. had a record number of renting households in 2015. Demand for rental properties is likely to remain strong for some time as the largest generation in history (millennials) slowly ages into prime home-buying years amid our tight supply and tight credit environment. Meanwhile, older households continue to recover from the foreclosure crisis, which explains why the homeownership rate today is near a 48-year low. The ability to avoid financing or put down substantially more than a typical buyer who would use the home for a primary residence gives the investor the upper hand when competing for the limited supply of smaller and lower-priced homes. At the same time, this is also the segment of the market that we are not seeing homebuilders address. The stock of smaller and lower-priced homes is not growing, and with every investment purchase, there are fewer homes available to sell. Looking forward, this year is likely to see a similar pattern of buyers against the backdrop of growth in sales. All buyers who are financing purchases with a mortgage have the added advantage of lower rates compared with last year, yet credit remains very tight. Each step of buying a home today is more difficult: qualifying for a mortgage, finding a home, and successfully bidding to get a contract. The biggest challenges will remain the limited supply and tight credit conditions that tilt the balance toward households with higher income and exceptional credit—these households are the most likely to buy a vacation or investment home.